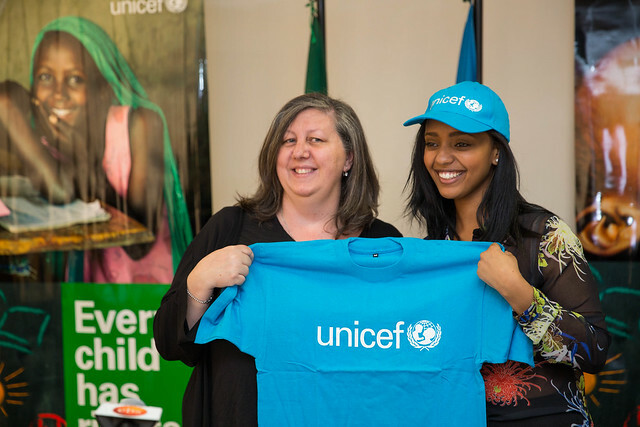 20 November 2014, Addis Ababa: Today, UNICEF Ethiopia appointed young rap star Abelone Melese, a citizen of Norway with Ethiopian origin, as its new National Ambassador at a signing ceremony held in its premises. 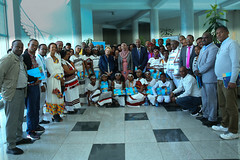 The event was attended by Patrizia DiGiovanni, Acting UNICEF Representative to Ethiopia, Mrs. Tove Stub, Minister Counsellor/Deputy Head of Mission, Royal Norwegian Embassy, members of the media and UNICEF staff. Abelone, after visiting Ethiopia several times, was driven by compassion and the zest to help mothers and children by using her music to convey positive messages. She participated in a project called 10,000 happy birthdays which was a fundraising activity to help mothers in Malawi and Ethiopia. At a fundraising concert organized for this project, Abelone performed a rap song in Amharic and English on the situation of African mothers-a song she composed especially for this concert and which has left a big impression and fans. Abelone Melese interviewed by the media on her new role as the newest UNICEF National Ambassador to Ethiopia. Abelone is following in the footsteps of Aster Awoke and Hannah Godefa as UNICEF National Ambassador by demonstrating an outstanding commitment and dedication by promoting the rights of children’s issues over time. In addition, she will perform on 21 November at the Music Concert organized jointly by UNICEF and Ministry of Women, Children and Youth Affairs (MoWCYA) to celebrate International Day of the Girl Child (IDG) at Alliance Ethio-Francaise in the evening at 20:00. 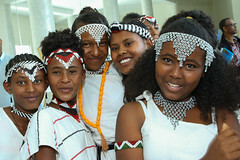 Nationally the international day of the Girl Child is celebrated with the theme of Empowering Adolescent Girls: Ending the Cycle of Violence, on 21st November in recognition of the importance of investing in and empowering adolescent girls and preventing and eliminating various forms of violence against adolescent girls. The theme, “Empowering Adolescent Girls: Ending the Cycle of Violence”, speaks directly to the issues at the core of gender violence in schools – gender discrimination, gender inequality and harmful gender and social norms. Mass media has a wide influence over all our lives. Media professionals (journalists, photographers, film makers) can contribute to improve ‘media literacy’ among children, and adults, by explaining how the mass media operates, and how to interpret its messages. 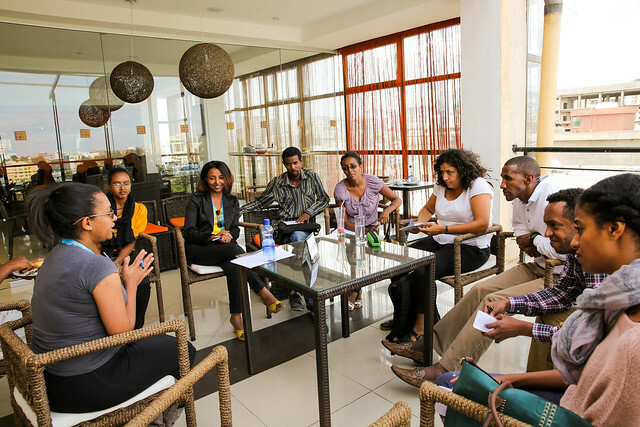 ADDIS ABABA, 14 April 2014 – The second quarterly media get-together with local and international media concluded with a meaningful discussion on how best the media and UNICEF could work together to advocate for the children and women of Ethiopia. Attended by more than 15 journalists, the discussion focused on how to jointly address issues like child marriage. More than ever, UNICEF is keen on working closely with the media in pushing development agendas affecting children and women. UNICEF is also eager to learn more from the media on how best it can position itself to create awareness and demonstrate results with the public, developmental partners and donors. This get-together is one of the platforms for both the media and UNICEF. One of the issues that came out strongly by the media was getting a holistic picture of a programme or intervention. According to suggestions made by the journalists: figures and data should not be presented singularly but rather within a context of trends so they can better understand the progress made as well as anticipate future developments. 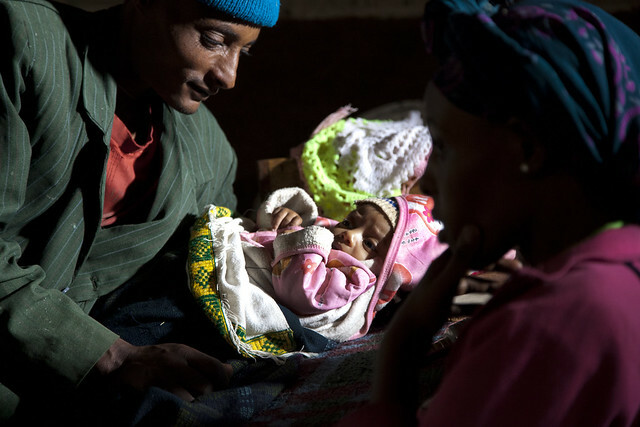 The UNICEF Ethiopia website presents many different resources including: different publications, research, photos, press releases, speeches, contact information, guidelines and other information useful for the media. Furthermore, the journalists suggested that government officials along with development partners could attend the UNICEF’s media roundtables to help give them a comprehensive view on different topics affecting women and children. 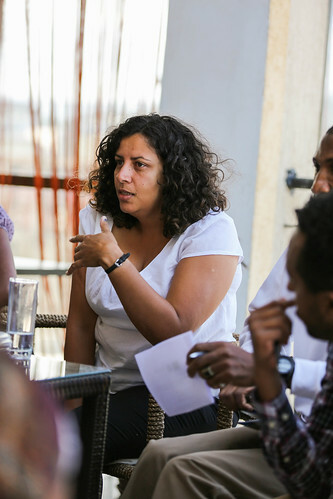 Journalists also expressed interest in learning about UNICEF programmes in more detail and about how a specific intervention produced results for the Ethiopian community as well as the future generation of the country. For this, journalists have requested media visits so they can witness results at woreda and kebele levels where the programme is being implemented. The highlight of the get-together was summed up by a question raised by the journalists: what makes UNICEF and its programmes unique and worthy of advocating? And what is UNICEF’s plan for changing its perception of Ethiopian people especially in the rural areas from well known to harmful traditions? 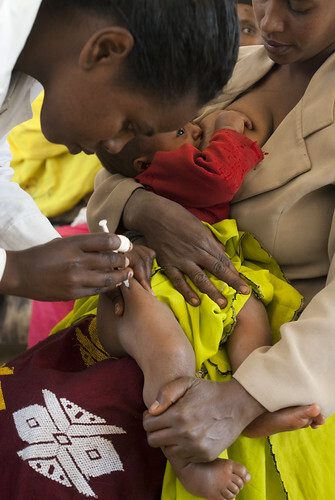 These are also questions to which UNICEF’s developmental partners can also contribute. UNICEF strives to provide basic rights for children including the right to health, nutrition, protection, water, sanitation and access to education. All this is done in support of the Government of Ethiopia. 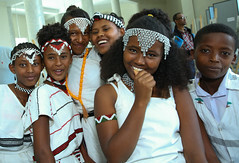 Since its establishment in 1952, UNICEF Ethiopia has created the capacity to ensure that its development work accelerates at national and community levels with good relations from bilateral donors, development partners and civil society, including the media in Ethiopia. This key position makes UNICEF a unique partner among development agencies and a resourceful agency for the media.